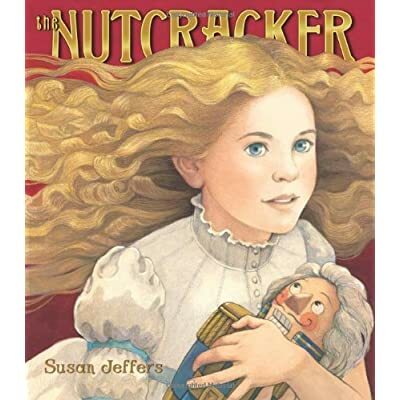 Late summer might seem an odd time to be posting about The Nutcracker, unless of course you are a dancer or dance teacher and you have already been making early preparations for the holiday show for months now. The Nutcracker is the most famous and accessible of the full-length ballets. The studio where I teach presents a full-length, narrated version, and even if yours doesn’t, chances are there is a performance of The Nutcracker by someone going on somewhere near you this winter. In Fall, I may begin right away with The Nutcracker, taking a break for some Halloween dancing (see my post on that here), or I may begin teaching The Sleeping Beauty…followed by Halloween dancing….and begin The Nutcracker the first week in November. Either way, here are some fast tips for using Jeffers’ book in the dance classroom followed by my more detailed lesson plans. Enjoy! Introduce only 1 or 2 new “scenes” during each section. Next time, you can choose whether to start from the beginning or where you left off. Young children can watch the same movie, read the same book, or perform the same dance over and over again. They love to feel the mastery of familiarity! Require all students to play the same part in the story during dance time. In the battle scene, for instance, you may switch between soldiers, mice, Clara, and the Nutcracker…but do it all together. Young children can spend a lot of time and energy in power plays over who gets to play what parts in their story-telling. Best to avoid this discussion. Teacher decides. We all act together. End of story. If available, show your students actual costume pieces or props from your production. You might let them touch but think carefully about letting them play with any pieces. Performers must learn to respect stage props. Invite parents into the classroom on the last day for a “studio Nutcracker”, a.k.a. gratuitous photo opp. My young dancers are not yet eligible to perform in the studio’s production of The Nutcracker, but a studio performance is a great introduction for families, both demonstrating all the dance culture their children are absorbing & inspiring families to attend your production and to later enroll their children in performing classes. 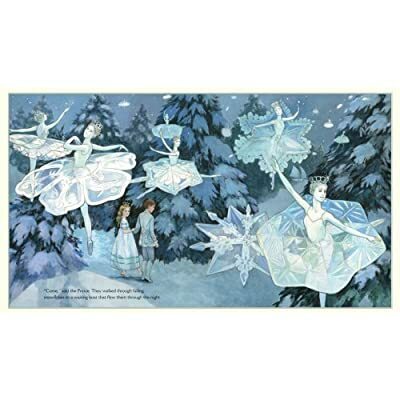 Preparation/Scaffolding: If I knew at the start of class that I planned to do the activity today, I might drop little tidbits during other activities…we might practice fast “Snow Flake” fingers while we stretch, or practice “Clara holding the Nutcracker” arms between plies and jumps, etc. Reading: At reading time, the students arrange themselves around my stool and I tell the story with the words and pictures—reading more or less of the actual text depending on the time available, the class’s age and their level of attention. If they are ansty, I read just enough to get us dancing again…and if they are melting exhausted, I might go into more detail or point out more costume features or facial expressions in the pictures. *Jeffers’ version uses “Marie” for the protagonist. I always explain that both Marie and Clara are common names for the main girl in the story, but the story is the same. This opens the door to noticing other small differences in the storybook version and our studio’s production. For instance, our mouse king has 1 head, not 7. Movement Vocabulary: As I read I demonstrate a few identifying gestures for the dancing we will do, and they copy me. This is our “vocabulary” for that ballet. For The Nutcracker we practice the polite curtsey as we enter the party, the strong open hands of the Jester Doll, the jerky kiss motion of the Ballerina Doll, Clara holding up the Nutcracker proudly (just as Aurora held up the pink rose in The Sleeping Beauty), rigid soldier salutes, and fast “snow” fingers. (And that’s only Act I!!) When we get to Act II, I try to use props for the sweets–an umbrella or ribbon for Chinese Tea, a fan for Spanish Chocolate, a hoola hoop for Russian Candy Canes, a scarf for Arabian Coffee, wings for the Angels. Transition to Dancing: When it’s dancing time I put on a cd I’ve prepared with a few key songs. I announce where we are in the story, who we all are, and maybe a costume detail for them to imagine they are putting on, remind them of our “vocabulary,” and turn them loose! For the very first dance I might sound like this…..”Ok, we’re in line to enter the holiday party. Please put on your fancy party clothes. Make sure your ribbons are tied and your skirt is neat. I will be the hostess. When I open the door, you will do a polite curtsey and then hold your partner’s hand and do ballet skips around the room over to the food table. Show me how you will pretend to talk and eat party snacks. (I pantomime holding my plate and mouth words with no sounds). Ok, here we go!” (As you teachers know, that dialogue was all happening while I was getting the cd ready.) I use these same prompts when transitioning to a new song. Guided Free Dance: I dance around with the girls, demonstrating the “vocabulary” and making suggestions with my body or with words. For example, I might say, “The snowflakes might leap. Great! Or they might try tossing snow into the air as they leap. Excellent, dancers! I see “Jane” doing a turning snowflake dance. I love the energy in your fingers, “Sally.” I might let each song play for anywhere from 20-60 seconds, depending on the time we have and their excitement.